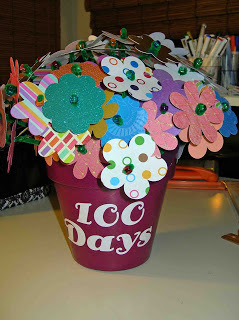 It's that time of year - the time when the kids and their teachers are counting down to the 100th Day of School. The teachers always have such great activities planned for the kids that day and there are so many wonderful ideas for the classroom. But what about us as parents? I want to try and be creative just like the fabulous teachers! So when our teachers sent home the notice about the 100th day of school for this year, I totally went blank. I did some searching on this here interweb and found some ideas, but it took a while to find something my son thought would be cool to do. First up, a list of ideas for collections of different or unique items for the kids to bring to school. I suggest enlisting the help of family, friends, neighbors, your church and local businesses to amass the collection to ensure there are indeed 100 truly different pieces. 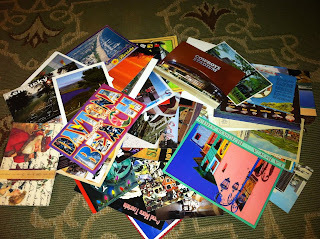 I have a friend from my sorority who, for her daughter's 100th day of school, put a request on FB to have everyone send her daughter post cards from where they live. This obviously required a bit of preparation to be sure she got them all in time. 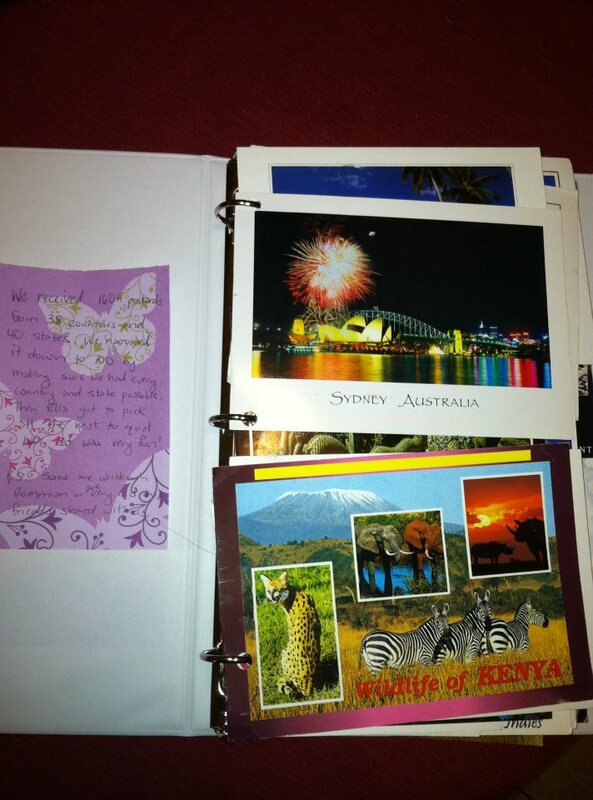 But with the help of friends and family and friends of friends, her daughter ended up with an amazing collection of post cards from all over the WORLD to bring to school. She punched holes in the cards and placed them into a binder. 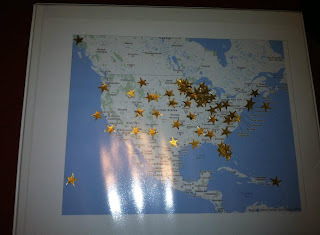 And put a map on the cover of the binder with stars to indicate all of the places from which they received post cards. 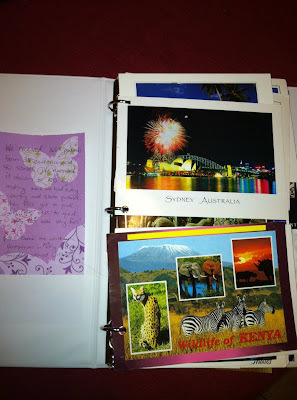 You could buy a pre-made set, or try an experiment like Jessica did with the post cards in #1. We all get tons of cards during the holidays or for special occasions. Hang on to them and create a collection of 100 by putting a hole punch in the top corner and binding them together with a ring or ribbon. If you have children you most likely have a plethora of stickers. But if not, get help from friends and family. 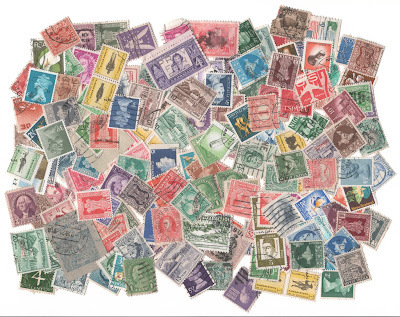 They could send them your way much like the post cards or stamps. You can get several packs of silly bands fairly inexpensively and the packs typically have multiple shapes or themes in them. Or set up a trade ring - most likely the neighborhood kids have a bunch with whom you could trade some of your duplicates. Scan your CDs or vinyl album covers, reduce them to 2x2 squares and mount on an old record or multiple CDs. Or keep the scans the regular size and place the 100 scans in a CD case (or two). 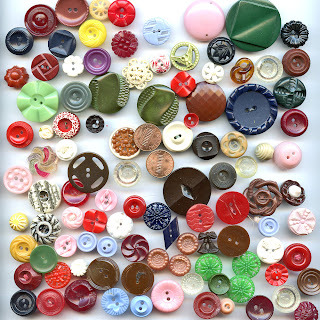 Glue or sew 100 different buttons to a shirt or pillowcase. 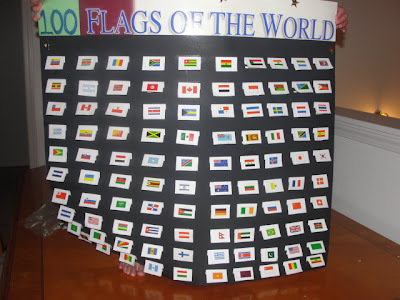 Print out flags from all over the world. 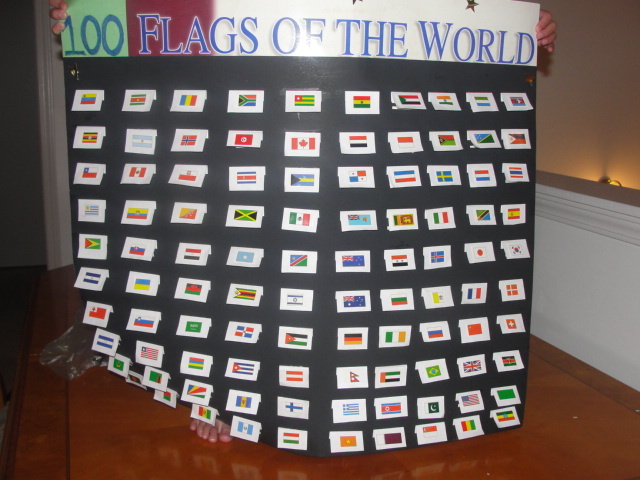 This project looks so cool - it appears that they have made flip cards from each flag and perhaps have included some good-to-know information about that flag's country with it. Very clever. You may already have a trading card collection on hand, so that would be easy peasy. If you are worried about bringing the collection to school, scan the cards and print the copies to take to school. Collect thumbprints from 100 people. 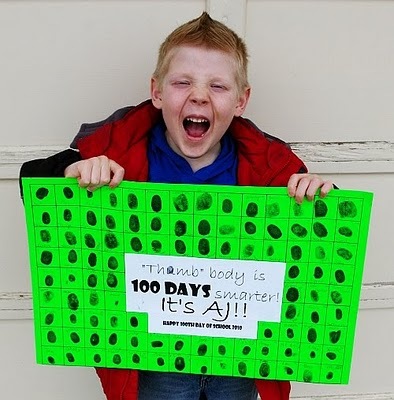 A.J., pictured above, sat out in front of school one morning and collected thumbprints from kids as they came to school. He even had a line of kids waiting to help! How cute, right? Love the bugs crawling all over this little guy, and I bet he did too. I imagine you could get tubes of bugs at your dollar store, or even get rings like those they sell around Halloween and cut off the ring part. (Or for that matter, how about 100 bug rings being your collection?) 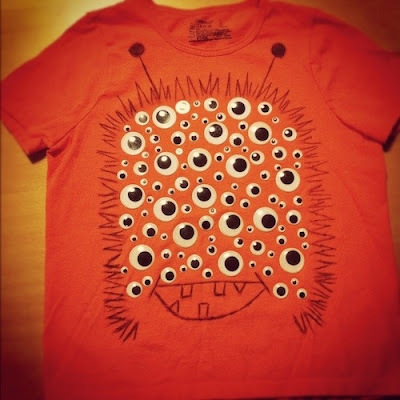 And his friend in his googley eye shirt is another option for #59 below. Or, if you have an adventurer in your family, perhaps putting together a collection of 100 different REAL bugs (preferably dead) from around your neck 'o the woods would be fitting. You could create a pretty amazing specimen chart. Now here's a great way to use all those keys for which you have no use any longer or just have no clue as to what they unlock. 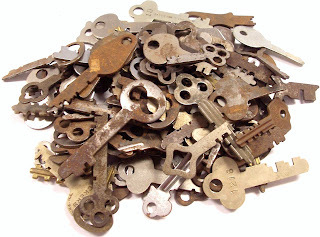 Car keys, door keys, padlock keys, locker keys, antique skeleton keys...lots of options here. 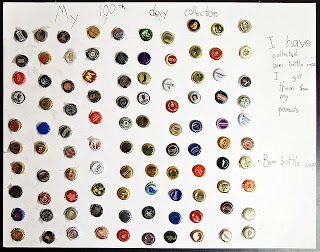 Tear the labels off of various beverage containers for a great collection of 100. Now this would be an awesome collection. While it would require supervision and assistance from you, it would be fun to collect them. Perhaps Grandpa has some in his tackle box he'd be willing to share? And just think of the great stories that come with each one. Fancy/decorated pencils are everywhere. Or at least it seems that way. No matter where you go there are likely fancy pencils right next to the check-out counter of most stores. You can get packs of them at the dollar store and in the dollar section at Target. 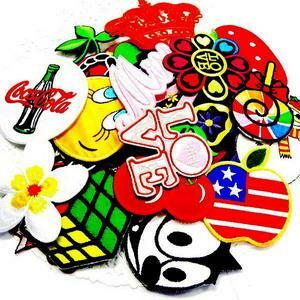 You can easily get 100 different designs and then donate your duplicates to the classroom or teachers' lounge. Go through your ever-growing photo albums and print out 100 different pictures of your child. Crop them all down to the same size and mount them to a poster board. Find one picture you love and enlarge it. 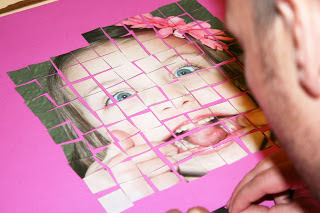 Then cut it into 100 squares and make a mosaic! See my comments about pencils in #17 above - pretty much the same idea only with all those tiny themed erasers. Get a piece of poster board and some removable tape. Make a grid with the tape of equal sized squares that covers the whole piece of poster board. 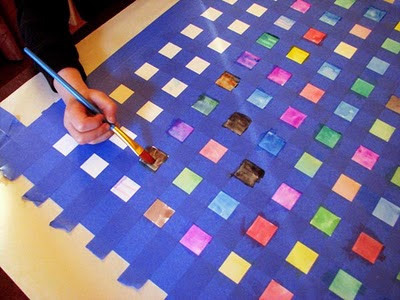 Then fill in the squares with 100 different colors (crayons or mixed watercolors work great). Once dry, remove the tape and voila! 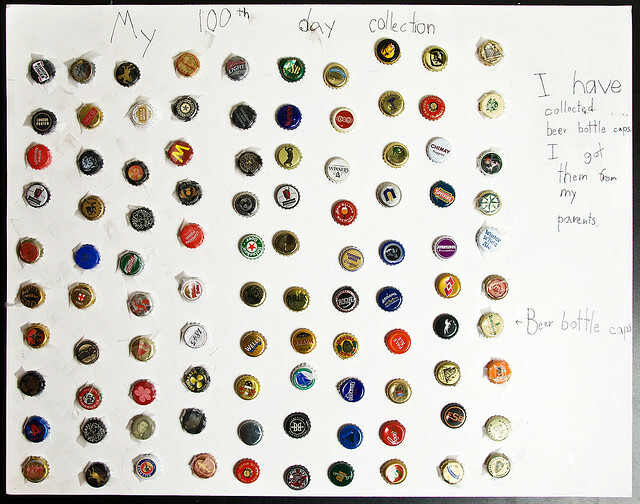 A beautiful piece of art that celebrates 100. Think maybe I have enough scraps to get me by for a while? Or you could use the scraps to make 100 different flowers like Sophie and her mom did with this cute flower pot. This could work like the paper chain or flowers, too. Two versions here - use one punch and punch that shape out of 100 different patterned papers or use one patterned paper and punch out 100 different shapes from it (no, I don't expect you to have 100 different punches on hand; borrow punches from your crafty friends or spend an afternoon at your local scrapbook shop and use their endless supply!) Or, if you have someone with an electronic cutter, perhaps they'd be willing to assist. Doesn't hurt to ask, right? Realizing that you most likely don't want to sew 100 patches on, why not opt for the iron-on kind? They are fairly inexpensive and this shop on Ebay gives you lots of variety in one pack. They come in all different shapes, sizes, colors and designs. Invade your game stash, garage or rummage sales or hit up friends to amass your unique collection. Unless, of course, you already have one. Logos can be found everywhere, from magazine and newspaper ads to billboards and business cards. You may even find a few on this here interweb. ;) Print a bunch out or take pictures of all the different logos you find and make a fancy collage or photo album with them. This could work the same way as the colored squares in #21. (Or you could use the hundred board freebie I've got listed at the bottom of this list). I bet your local salon wouldn't mind letting you use some of their huge stash. And be sure to record the polish names! Some of them are a hoot. Are you an avid gardener? You may already have 100 different kinds of seeds in your garden shed. If not, there are always online venues, your local home supply store or garden center. Not only would the different packages make a great piece of art, but the seeds inside would also make for an interesting collection and a great conversation starter for the kids. Just like the post cards or postage stamps ideas, but with business cards you collect from random folks you meet. And, could be kind of cool to see all the different styles of them out there. People are getting very creative with their business and calling cards these days. ﻿﻿﻿﻿﻿I love this creation, using fabric strips tied to a piece of string. Very much like the paper chain idea only with fabric. Too cute. Pick one word and cut it out of catalogs, magazines and newspapers or other things you find it on or in. 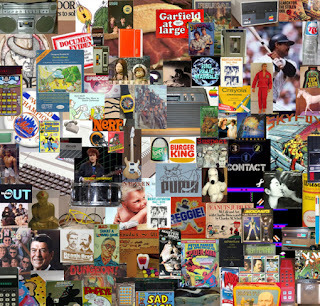 This picture is of a bunch of different things, but it shows you more the idea of what I am thinking would be neat. 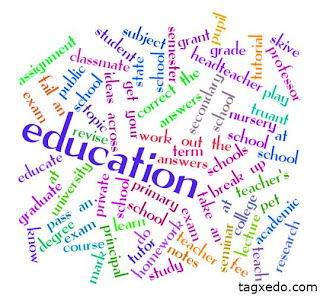 Or pick a theme, and make a word cloud using 100 different words related to that theme or topic. Pick a letter, perhaps your first or last initial and find 100 different versions of it - magazines, foam stickers, wood shapes, beads, scrabble tiles, etc. 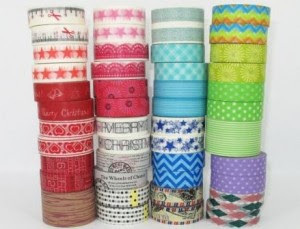 There are so many varieties of Washi and craft tape on the market. You may already have quite an assortment. Use the 100 different colors and patterns you find and adorn a composition book cover with them, or make a craft tape bunting to hang in the classroom. I used to love these when I was younger. 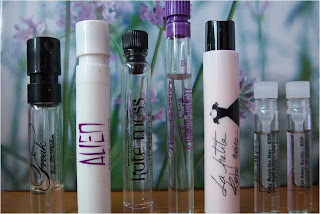 I could switch up my fragrance often and not get too tired of one. And I could try one out before splurging on buying the big bottle. I presume they still distribute samples so this could either be really cool, or really fragrant. I am nuts for fonts. Have your child pick a line from their favorite book; you then type it into any word processing program and copy it off in 100 different fonts. Don't have that many on your computer? There are several online venues through which you can get free fonts to download. I really like DaFont.com and 1001freefonts.com, but the possibilities are endless. I have found many unique fonts on deviantART as well. This could be quite challenging to bring to school, but how impressive! The paper kind. That you cut yourself. No two are alike. Make a statement - attach them all to a clothesline and string your collection of 100 pennants along the ceiling of your classroom. Also rather challenging, but hey, it's worth a try, right? Next up, what about doing something with 100 of the same thing? Get creative and turn those same items into something. Here is a quick list of items that should be rather easy to find and locate around your home already, or are easy enough to purchase and/or find locally. I love how the feathers are used to make a fancy wreath. Too cute. Paste your seashells to a piece of foam core for a beautiful "same-of specimen" chart. You could even try this using 100 different species of seashells. Peel and stick. Easy peasy. Yard sticks would be a cool collection with which to make something unique. There are so many clever folks out there who are repurposing yard sticks and other "junk" into other usable things; I have no doubt this would be quite a conversation starter in the classroom! Or I bet the kids would even have fun coming up with ideas of their own. 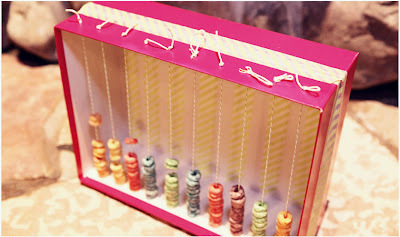 You could certainly even try to get 100 different colors of thread on the spools for an extra challenge. 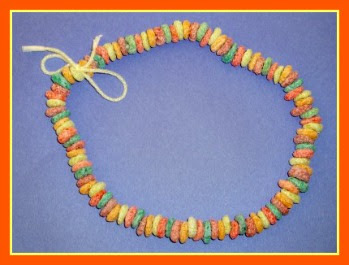 Go with the original purpose of Perler beads, make a necklace, or glue to cardstock making a design. Instead of just gluing them to a sheet of cardstock, find a wood or cardboard letter of your local craft supply store and decorate it. Find a 100-piece puzzle and put it together! You can buy these in bulk and in one trip you've got your project supplies. Set your kids up with a bowl of glue and away they go! OR, you could make these yourself in a variety of colored yarn - challenge yourself to get 100 different patterns or colors or textures. 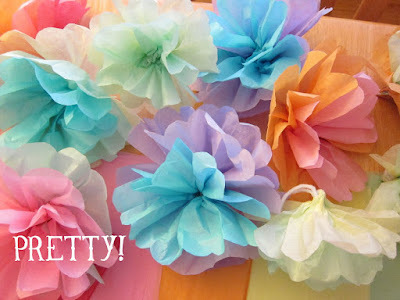 Then string them together to make a cute pom pom garland. These ARE pretty, and Rachael at Shore Society even gives you a tutorial on how to make your own flowers. String paper clips together to make a paper clip chain or get a little crazy and design a necklace. Isn't Krom's simply fabulous? Googley eyes are just plain fun, especially when there are so many. Stick 'em to a shirt randomly or group them in pairs to make a statement you can wear to school. 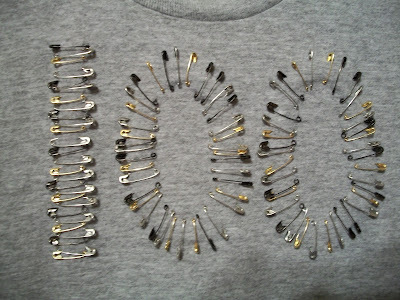 Another shirt to make on the 100th day of school - 100 safety pins! Random or in a design, both will make a fashion statement. 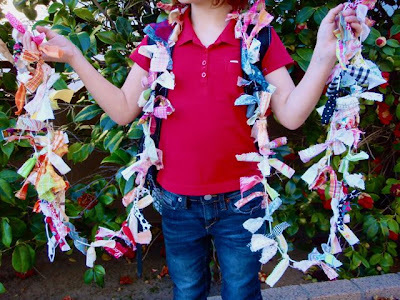 Tie 100 ribbons to a stick to make a fringe, or tie ribbons into bows and glue or sew to a shirt or posterboard. It would be cool to try and get 100 different band aids, especially with all the great designs they have available. Cut 100 days out of old calendars. Take on an extra challenge and see if you can collect 100 differently-designed beverage or finger napkins. 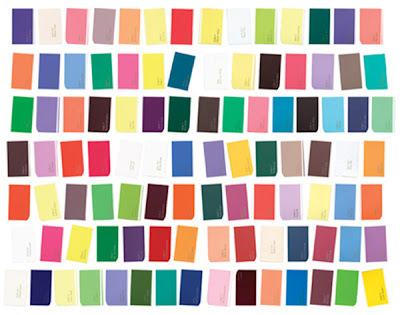 Very colorful and much lighter than say, license plates (#40). What a great collection! 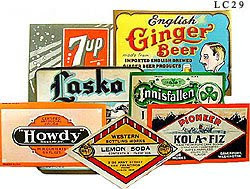 Or how about Campbell's Soup labels? If you are collecting them anyway you don't have to go too far. AND your child can turn them in to the school when the celebration is over. Another "twist" on the paper collection - make pinwheels. 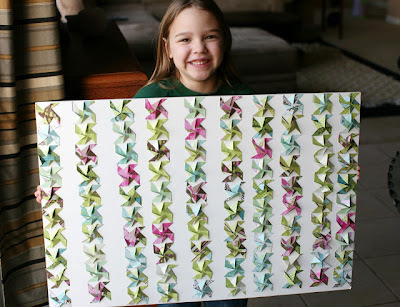 How cute did this project turn out? Make a bouquet of 100 lollipops. I read somewhere that one mom filled 100 balloons with helium and brought them in the day her child was celebrating the 100th day of school. She had gotten prior approval from the classroom teacher and then the teacher used the balloons throughout the day for class activities related to the festivities. Very neat idea. I saw an image online (can't find it now, of course) where they used the milk jugs in the classroom to build various things like a throne, an igloo, a tent...you name it. Lots of experimenting going on there. And I would highly recommend getting approval before you take on this idea. Ditto to the above, only I didn't read about it. Just came to me. Huh. 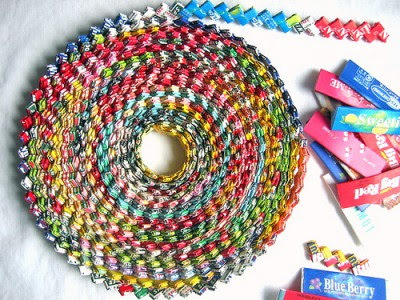 Fold them into a chain - perhaps I am way too old, but do you remember doing this back in junior high? I had one chain that stretched across my bedroom floor. I was so proud. We're in the home stretch now! The final 20 ideas...you get the drift by now, so I'll just list them out. You can mount these items to a piece of foam core, stuff them in a jar, bottle or vase, Or, for the smaller items, use one of these Hundred Board printable charts from Primary Junction! So, there ya be. I hope this helps in your 100th day planning and prepping. I may have to do some of these things even though our 100th day project is already done. 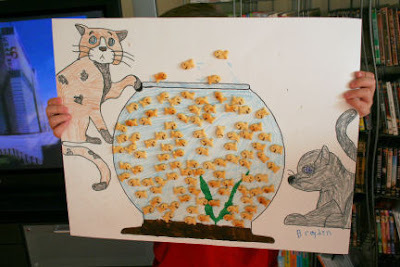 So many of these ideas would be great for keeping the kiddos busy on a rainy day. Don't you think? I would love to hear from you if you tried one of these ideas, or have one of your own you'd like to share. Perhaps we could get a second list of 100 ways going! 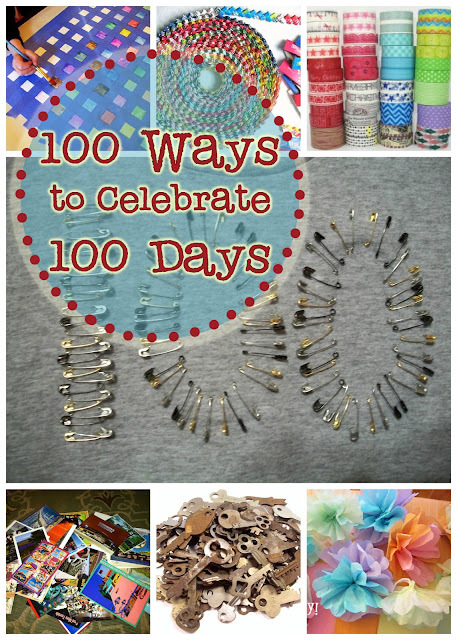 Until then, Happy 100th Day!